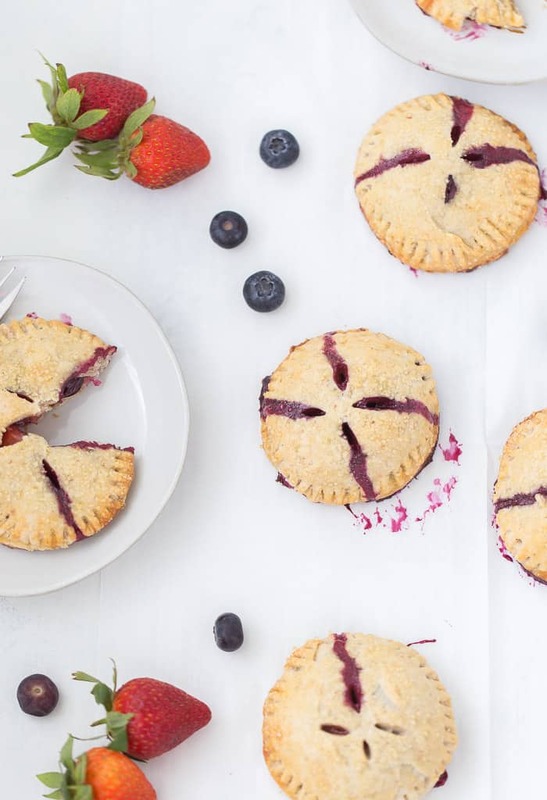 These double berry hand pies are perfect for all your summer gatherings. 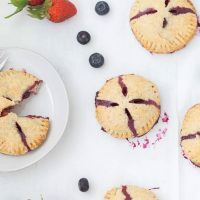 With a sweet berry filling tucked into a flaky strawberry pie crust, it is just what your backyard BBQ or picnic needs. Happy Friday friends! I am so excited we are heading into a long weekend here. Memorial Day in the US marks the unofficial start of the summer and thankfully Mother Nature in Upstate NY is finally aligned with this. It feels like summer and I can’t wait for all what that brings. Berries, pies, festivals, concerts, picnics, and barbecues. It is all about to start. 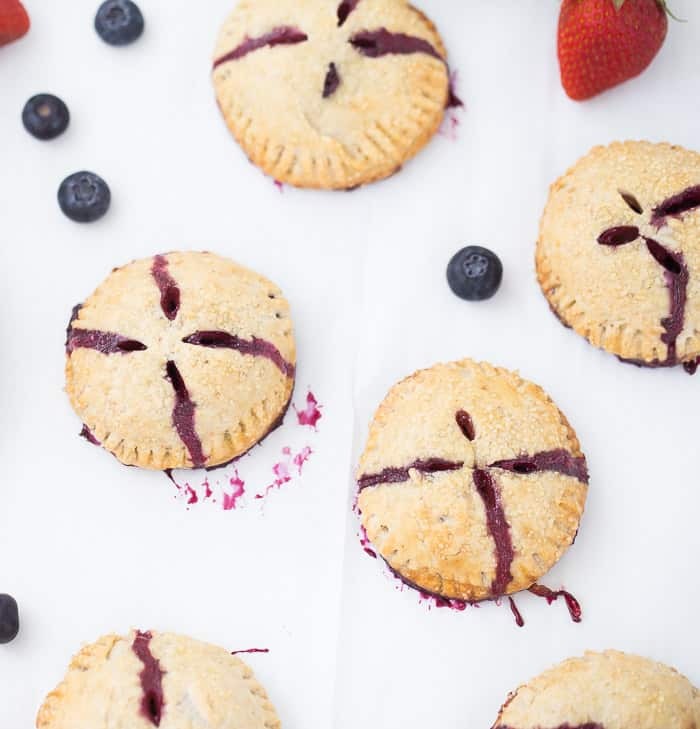 I am celebrating the unofficial start of summer with these double berry hand pies!! Just what your holiday weekend affairs need. Who can say no to sweet berry filling tucked in a flaky strawberry pie crust? I know I can’t and I sure hope you can’t either. 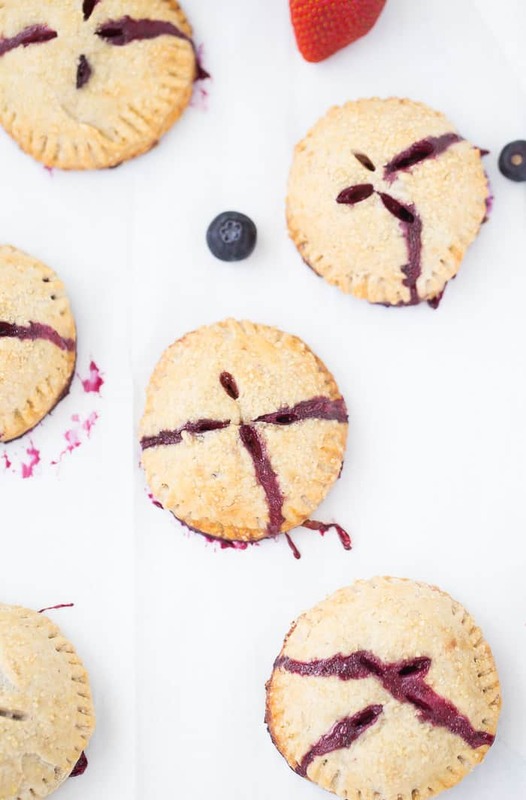 These double berry hand pies are truly unique. 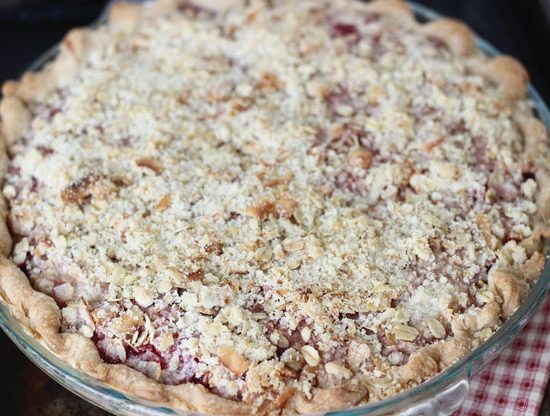 The pie crust is infused with strawberry and fresh thyme. Hello?? 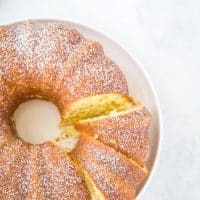 The idea of infusing strawberries in the crust came from Bake from Scratch Magazine (if you are not yet subscribed to this publication, please do yourself a favor and do it NOW). I’d never seen that before but was intrigued by it and couldn’t wait to try it. We are using freeze-dried strawberries and pulsing it with the pie crust. 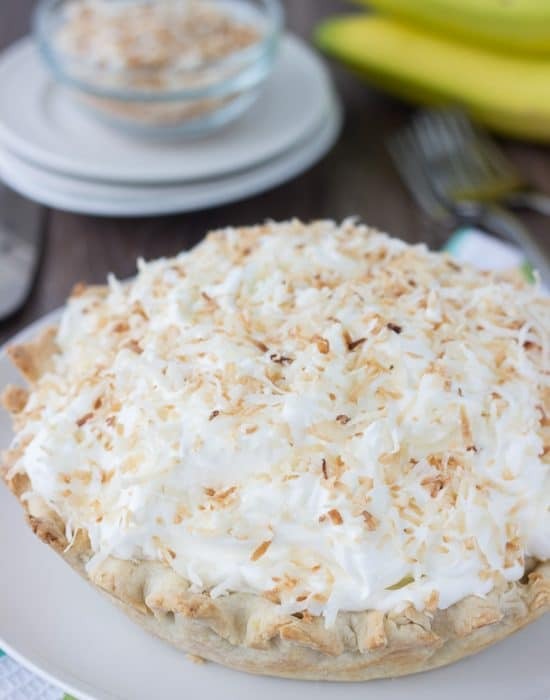 Super easy way to infuse a complementary flavor into your pie crust. Have you noticed that I am loving freeze-dried fruits lately? 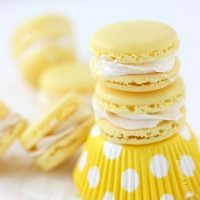 I used freeze-dried mango recently in the recipe for these mango macarons and have since been using them in everything. I am not sure why I am only discovering it now. 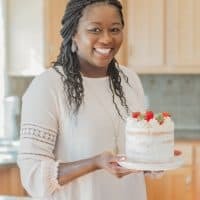 Do you all bake with freeze-dried fruits? 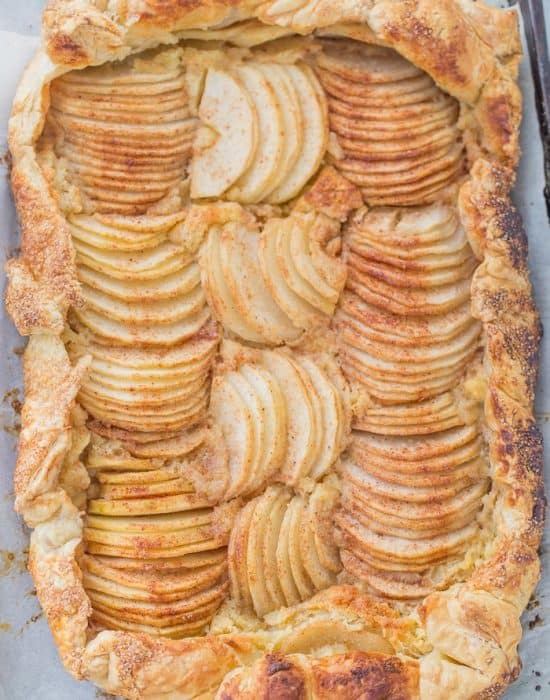 I know they make for a good snack but now, all my pie crusts and macarons are getting adorned with them. Back to these double berry hand pies. They are versatile and open to your own interpretations. Use your favorite berry in the crust and in the filling. 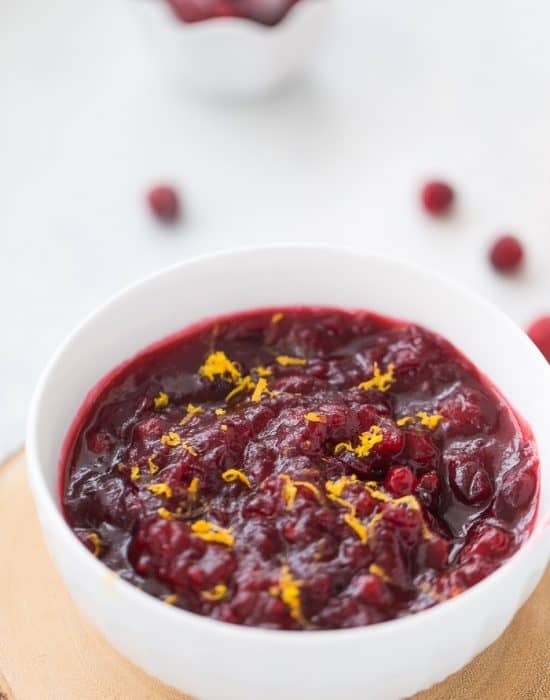 I used blueberries and strawberries as they are my husband’s favorites but you can use raspberries or blackberries in any combination. The dough is very easy to work with as well and I whipped mine up in the food processor. 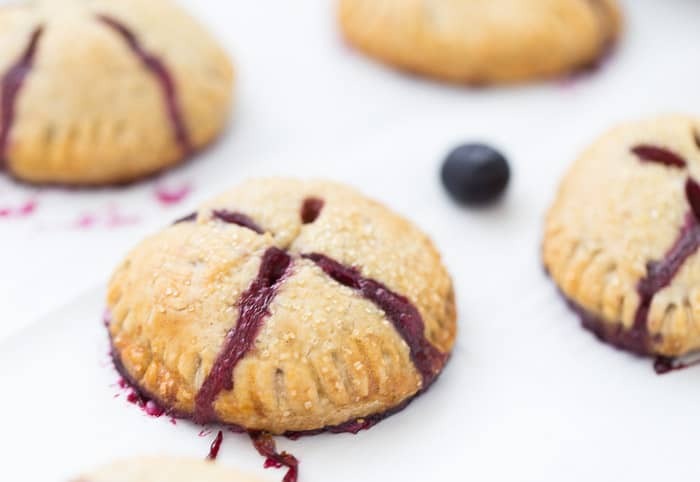 At the end of the day, whatever berry combination you have in your filling will give you a delicious berry hand pie! 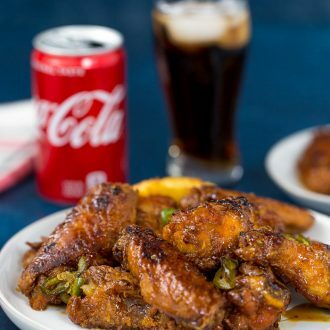 These are perfect for picnics and to bring to a barbecue. Prepare ½ cup ice-cold water and keep in the fridge. In a food processor, pulse the flour, strawberries, thyme leaves, salt, and sugar until well combined. Add in the butter and pulse until the mixture looks like coarse meal. Sprinkle 6-8 tablespoons cold water, 2 tablespoons at a time, over mixture and pulse until dough comes together in clumps. If dry, add a little bit more water (1 teaspoon at a time). Remove dough from processor and divide into two. form each dough into a disk. Wrap in plastic wrap and chill for at least an hour. The dough can be made up to 3 days ahead. Keep chilled. Let stand at room temperature 15-30 minutes before rolling out. Roll out one disk on a lightly floured surface to a large circle, about 1/8-inch thick. Using a 4-inch round cutter, cut out 8 circles. Transfer each to the parchment lined baking sheet. You might have to re-roll the scraps once to get 8. Place the sheet in the refrigerator for 5-7 minutes. Repeat with the second disk of pie dough. Combine in a medium bowl the strawberries, blueberries, sugar, flour, lemon zest, and thyme. In another small bowl, whisk together the egg and water. Brush the edges of dough with egg wash. Place 1-2 tablespoons of the strawberry mixture in the center of the rounds. Top with the remaining rounds and seal the edges with a fork. Return to the baking sheet and freeze for 15 minutes. Brush the top of the pies with the egg wash and sprinkle with turbinado sugar. Cut small vents on the top. Bake until golden brown, about 20 minutes. Serve warm. 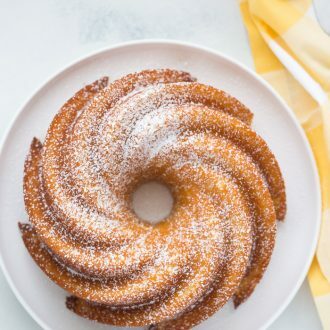 Yum – that looks so good! 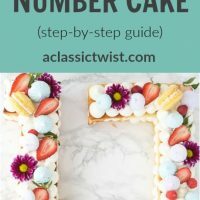 🙂 Seems like an easy enough recipe for me to do! These are so cute!! Plus, it’s about the perfect serving size! 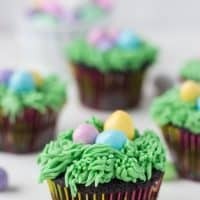 Will definitely have to try these! 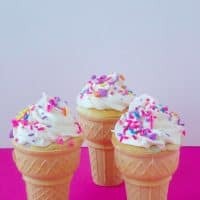 These are super perfect for Memorial Day! I love me some freeze dried fruits too! They always work so well in macarons!